What comes to your mind when we talk of 2007 T20 World Cup final match between India and Pakistan? Undoubtedly, it is the calm and cool face of M S Dhoni. While people may argue about different factors which led to India’s victory, the biggest one is Dhoni’s ability to hold his nerve in crunch situation. And, Dhoni has done it again and again in international cricket. Similarly in life whenever we face tough situations, keeping a hold on our nerve is the biggest asset we can have. Appearing for a competitive exam like UPSC, JEE Main, etc. is one such tough situation every student has to face. Getting a little jittery or a bit nervous is not abnormal in the cut-throat competition we face in our country but jeopardising your year-long effort due to anxiety and nervousness cannot be justified. If you face such problem, we have some solutions you will enjoy. 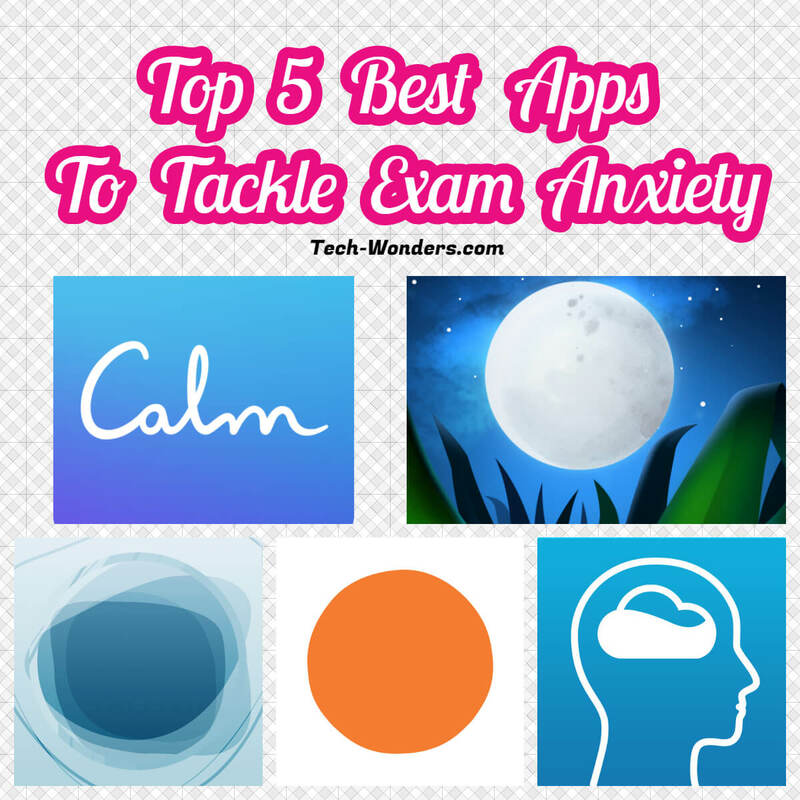 In this article, we will discuss some playful and funny ways to effectively tackle exam anxiety. Before starting I would like to mention that tackling anxiety is a skill and just like any other skill it can be mastered over time by practice. Are you one of those students who go blank as soon as they see the question paper? Calm yourself down. If you have prepared well, you can solve the paper. You need to have better control of your nerves. And what is better than meditation to master self-control? It’s no secret that meditation helps with stress and anxiety, and Headspace app aims to make meditation more accessible with ten short guided meditations, a personalized progress page and reminders to help keep you on track. Headspace is available for iPhone and Android and is free. Please make sure that you meditate for at least 15 minutes before 15 days of the exam to keep your mind calm and composed. Sound sleep helps in the consolidation of acquired memories formed during wakefulness. While many candidates ignore this, many others find difficulty in having a sound sleep as the exam date approaches near. This leads to the building of anxiety and stress. In extreme case, it may even lead to depression or insomnia. Most of the candidates are unable to have a sound sleep before on the night before the exam day. As a result, they feel sleepy during the exams, and hence their performance is badly affected. Using a weighted blanket can help reduce anxiety, achieve a relaxed state and allowing them to sleep more deeply. These weighted blankets from loveblankets also help ground your body during sleep by pushing it downwards. This process, known as “earthing” or “grounding,” may have a deeply calming effect. Relax Melodies allows you to select soothing sounds and create a mix to help you fall asleep. It can also be used to create a few minutes of calm in the middle of the day. Relax Melodies is available for iPhone and Android and is free. You can set your sleeping cycle before 15 days of the exam date so that our body clock get in tune. Healthy sleep will help greatly in the exam, and it will increase your accuracy. Calm is also an app for meditation. Available on the web and as an app, it helps make meditation easy with a selection of guided sessions that range from two to twenty minutes. It also includes ten “immersive nature scenes” to aid in the relaxation process. Calm is available for iPhone and Android and is free. Calm is the #1 app for mindfulness and meditation to bring more clarity, joy and peace to your daily life. It is greatly helpful for the starters who face difficulty in meditating. Recharge is another app which helps track your sleep schedule, gives you some activities to do in the morning to get the blood pumping, allows you to track your mood, and – maybe best of all – comes with a super-loud, super-effective wake-up alarm. Mindfulness is an anxiety-calming skill that helps you monitor your worried thoughts. For example, most of the aspirants go into wild thoughts what if I didn’t clear the exam or how will I celebrate when I top the exam and so on. To master mindfulness, you have to really concentrate on the stuff you usually totally ignore, and it takes a fair bit of practice. But practising mindfulness doesn’t have to be boring. In fact, Pause, a free app, has been designed to turn mindfulness into a kind of game. It is a bright, colourful app, which gets you to focus on small blobs as they fly across the screen while calming music plays. This might make it sound simple, but that’s because it’s meant to be. By getting you to focus on very basic shapes, Pause can increase your concentration, slow your breathing, and generally calm you down if you’re feeling stressed. Didn’t you find the solution fun and easy to adapt? Start practising these habit and master the skills. A simple 15-minute practice a day will rescue your year-long effort. Get those apps on your smartphone and tackle your problem in a fun way.